Hiring a divorce attorney can be one of the most important and most difficult decisions a person will face. Going through a divorce in Nevada is a complex process with several pitfalls that are all too easy to run into. You need an attorney who can help you to understand the process and at the same time prepare your case so you can receive the best possible outcome. I often meet with people who are attempting to fix or change something their previous attorney did or they did on their own after they have finished their divorce case. Often times the attorney was not paying attention to detail, didn’t know enough about the case, was not prepared, or simply did not show up. In the case that they did their own divorce without an attorney, typically language was left out, the wrong words were put in or the wrong document was filed. Because of these actions or inaction, the case was changed and the client did not get the right result. Most times, these are issues that cannot be fixed and because of this, the client is stuck in a bad situation without any way out. When the problem can be fixed however, it usually costs multiple times more than it would have cost for a competent attorney to have done it right in the first place. At Steinberg Law Group, our attorneys have an extensive knowledge of the law which allows them to not only see the issues in your case but also to determine the best way to present the issue to the court to get the best result for you. This knowledge ranges from knowing the best custody schedule to fit your situation to the multiple ways to divide complex assets in a marriage. We are familiar with each of the courts and the arguments necessary to obtain results for you. Each judge controls their courtroom in different ways and has different views on certain issues. Your attorney needs this knowledge to be able to decide what argument will best convince the specific court that your case is in front of. Our attorneys’ skillsets also allow us to know whether going after an asset may cost more than you stand to receive from it. The attorney you choose needs to have your best interest at heart and have enough integrity to inform you when this is the case. 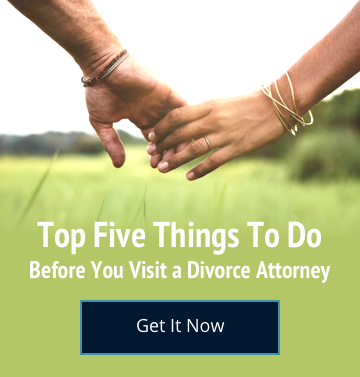 Several attorneys will charge their clients above and beyond they are going to receive out of the divorce, leaving the client in a worse position than they originally were in. At Steinberg Law Group, we pride ourselves on keeping the whole picture in mind which means advising you to attend mediation, settle, or even wait to start the case. When going through a divorce, you need a strong and passionate advocate who is willing to fight the fights that are worth fighting. You need an attorney who can argue for your rights in the courtroom but who is also able to work with the other side to finalize the case as inexpensively as possible for you. Your attorney must know what is important to you and how to keep your case moving toward your goals. Another large part of the value in hiring an attorney is their experience dealing with problems like yours. If your attorney has handled several cases like yours, they are able to help you with things that might happen in the future. Similarly, if this is the first time that your attorney has ever handled a case like yours, chances are they will not be able to include things in your case that could stop fights before they happen. You need an attorney who can foresee the problems that typically happen in your situation and take the steps necessary to prevent them and whatever your situation, the attorneys at Steinberg Law Group have dealt with similar cases. The attorneys at Steinberg Law Group have over 40 years combined experience in working with divorce and custody cases in the Las Vegas valley areas. This expertise allows us to provide you with the best service possible without a premium price. You have several options when choosing a divorce attorney and the wrong choice could be costly. If you would like to consult with one of the attorneys at Steinberg Law Group to see if we are the right attorneys for you please call us at (702) 384-9664.